What perfect timing by PUMA to launch their latest superlight weight boot, right after Antoine Griezmann claimed the Golden Boot at Euro 2016. 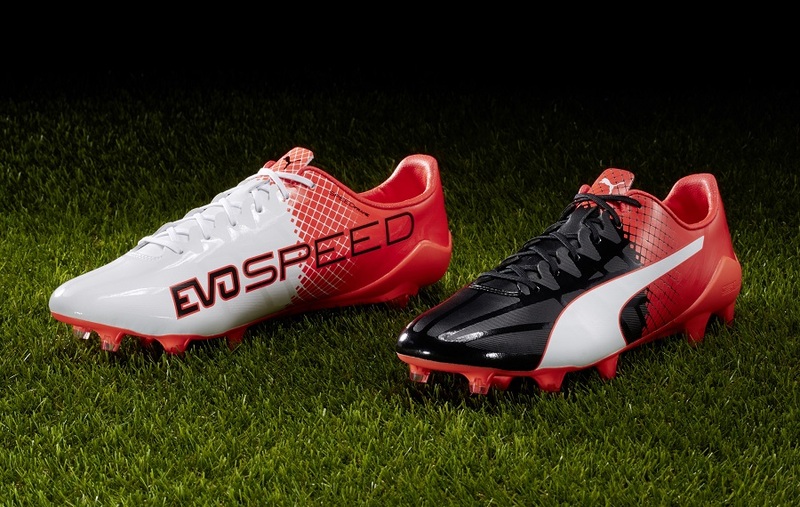 He along with Sergio Aguero and Marco Reus will be sporting the superlight evoSPEED SL-S II going into the new seasons. Adding to their list of Trick designs, these feature a dual color design, working with Red Blast/Black/White. Both heels are block colored in striking PUMA Red Blast with a geometric pattern fading into a black vamp on the left shoe and a contrasting white on the right. Constructed with a Japanese microfiber upper material, the SL-S II is intended to feel soft and comfortable while allowing a better touch on the ball. 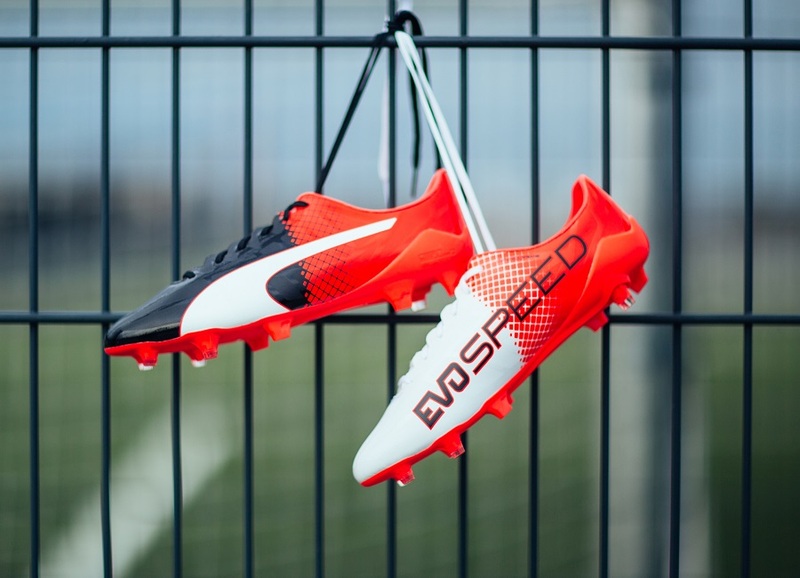 The updated laser-cut SPEEDFRAME structure optimizes the boot’s shape further, providing support during forward acceleration and quick turns. For optimal fit and additional support, the boot features a minimalist external heel counter. Additional performance features of the SL-S II can be found in the outsole. 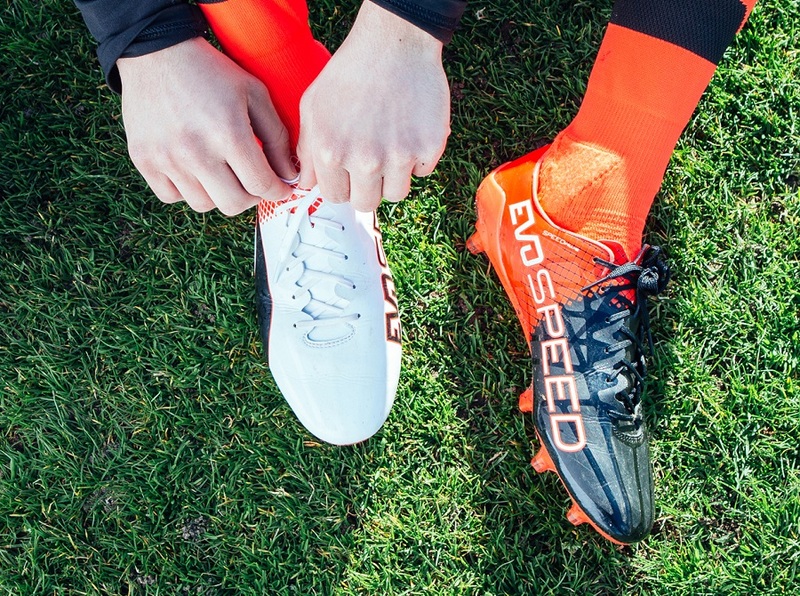 The SPEEDTRACK spine provides the perfect balance between stability in the midfoot and flexibility in the forefoot, enhancing both speed and agility. The lightweight nylon outsole’s stud configuration is composed of a mix of bladed and conical studs, providing increased levels of stability, traction and acceleration. Weight wise, they drop in at 5.2oz. 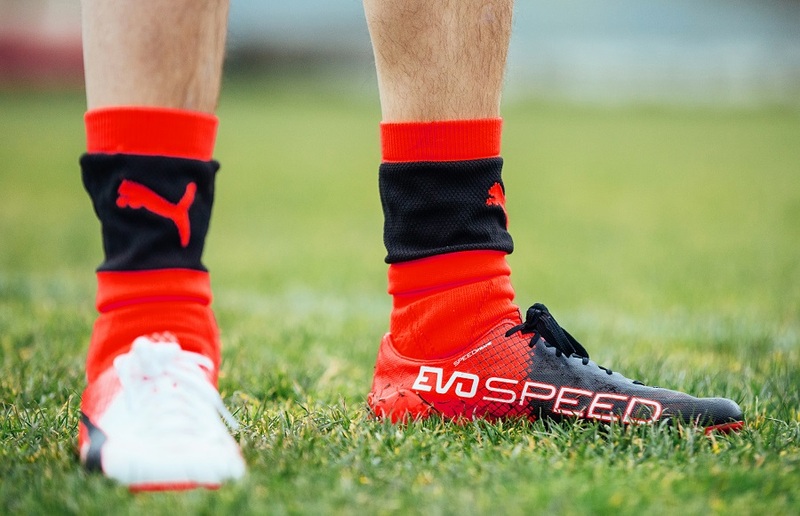 The BIG part of this release is how PUMA has addressed previous durability issues with their Speed series and if this is a 10-game boot or intended for a season. I strongly suspect it is the later, but that is something we will have to wait to find out! We reviewed the original SL-S release and it definitely had potential as a top market speed boot. Retail wise, they price in under $200, which is more evoSPEED price range than other recent SL releases. Anyone interested in a pair can find them at soccer.com.